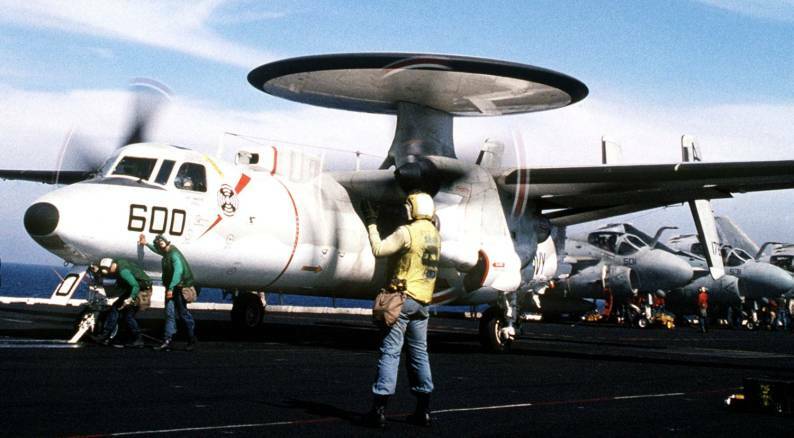 VAW-124 was commissioned on 1 September 1967 and nicknamed the "BULLSEYE HUMMERS." In 1968, the squadron was assigned to Attack Carrier Air Wing SEVEN (CVW-7) and deployed aboard USS INDEPENDENCE (CVA 62). 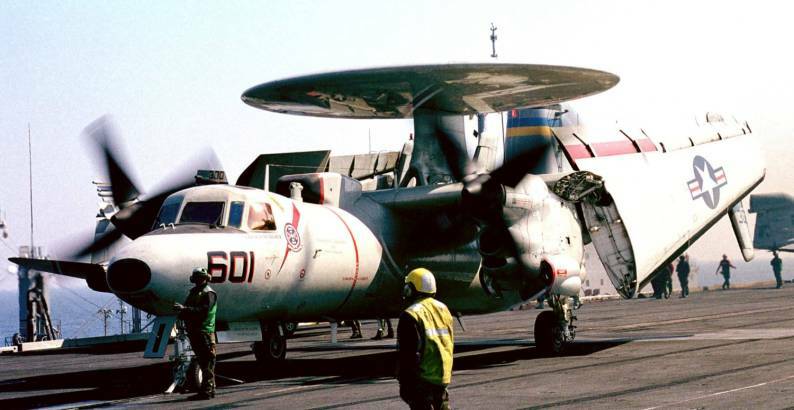 In April 1970, VAW-124 deployed with CVW-9 aboard USS AMERICA (CVA 66) to Southeast Asia. 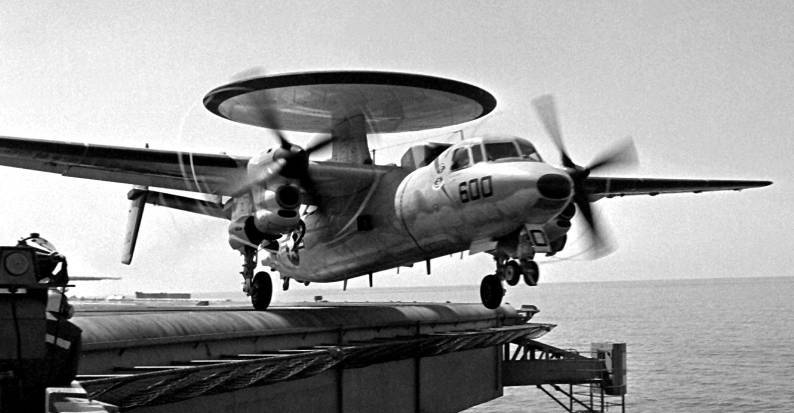 In June 1972, VAW-124 embarked again aboard AMERICA for an extended Western Pacific deployment. 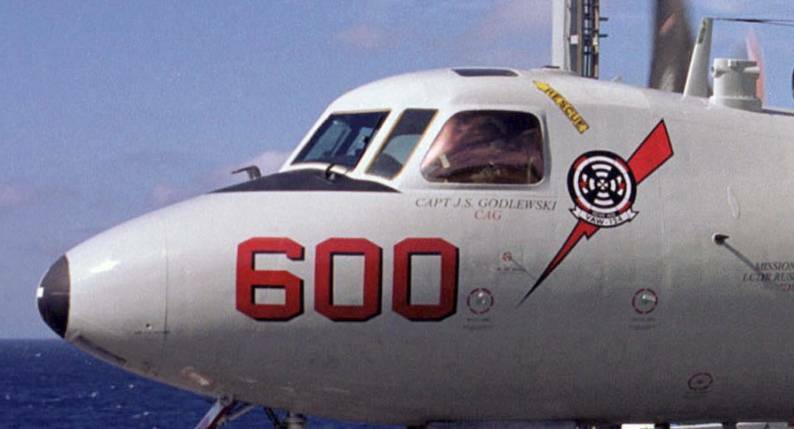 Seven line periods and 147 combat days later, VAW-124 was present in the Gulf of Tonkin when the Vietnamese Agreement was signed on 28 January 1973. 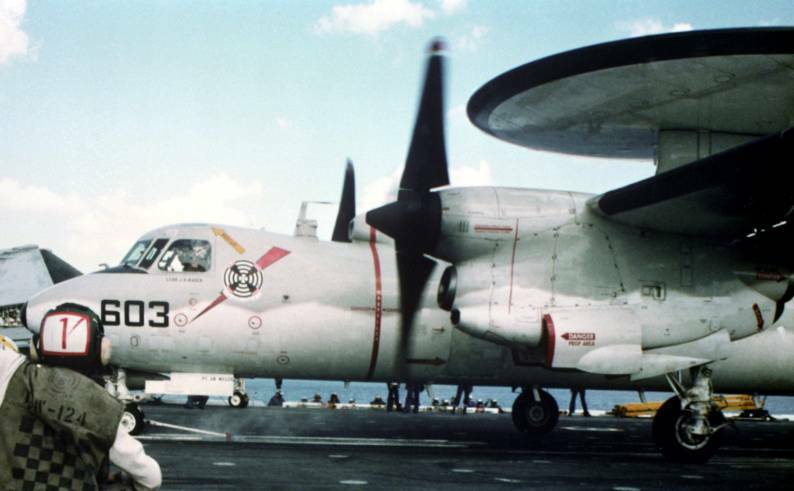 VAW-124 deployed with CVW-6 aboard AMERICA in the summer of 1976 and again in October 1977. 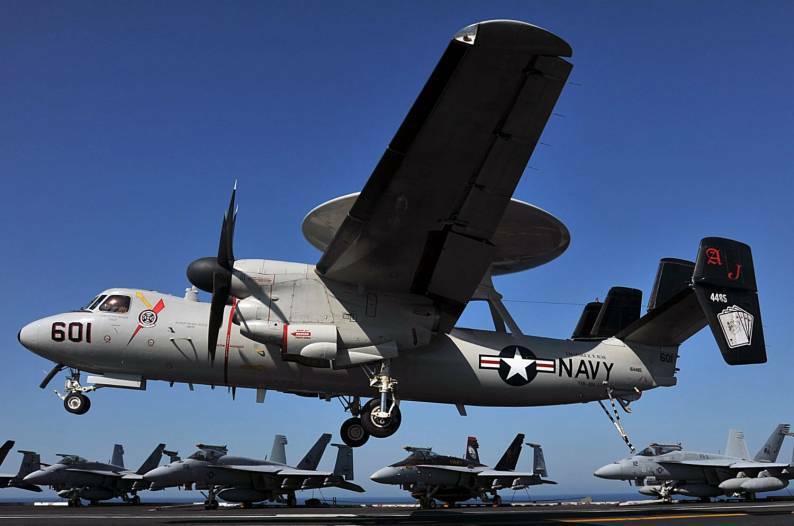 The squadron was awarded the COMNAVAIRLANT-Battle Efficiency Award in recognition of accomplishments during the year. 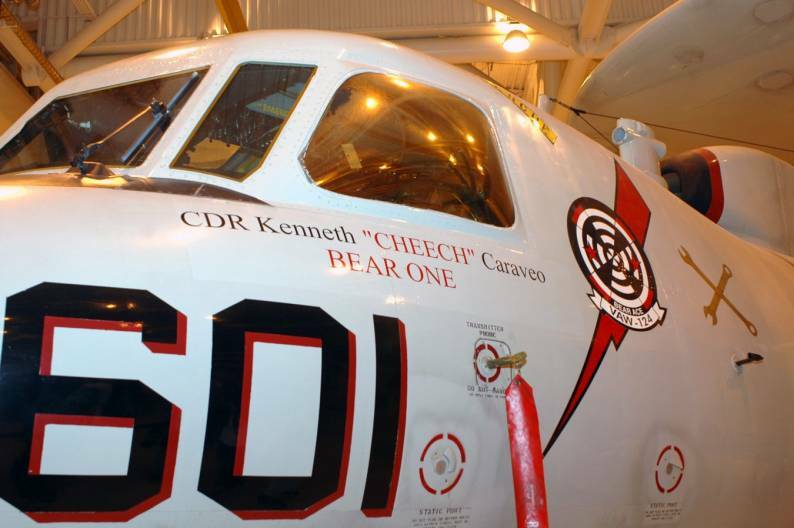 In December 1980, the squadron received immediate deployment orders to Keflavik, Iceland. 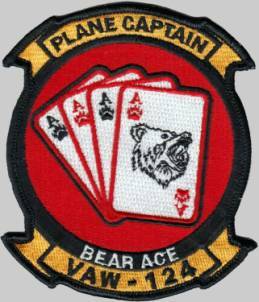 As a result of numerous VAW-124 directed intercepts of Soviet "Bear" reconnaissance aircraft, the squadron acquired the new nickname "BEAR ACES." 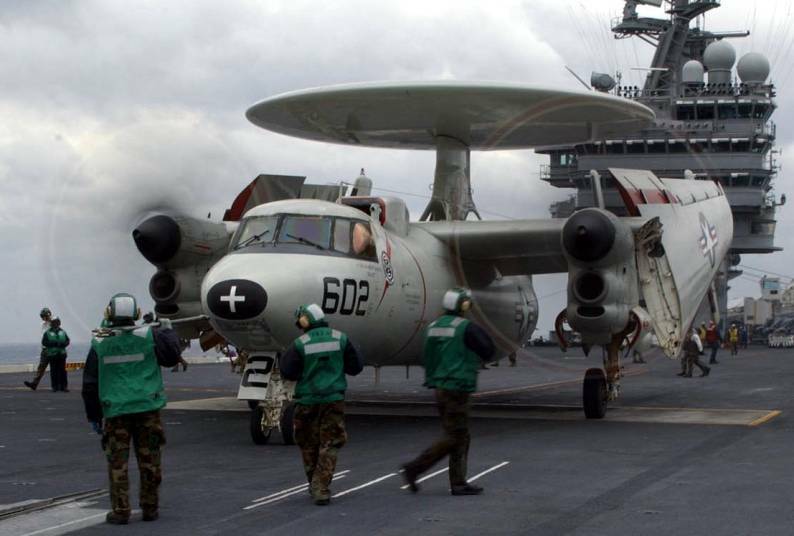 On 19 August 1981, USS NIMITZ (CVN 68) captured world attention while operating in the Gulf of Sidra. 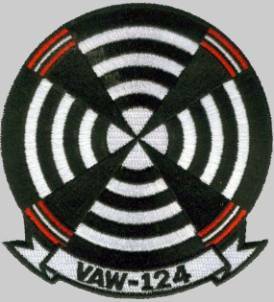 In response to an unprovoked attack, F-14 Tomcats under the control of a VAW-124 intercepted and shot down two Libyan SU-22 "Fitter" fighter aircraft. 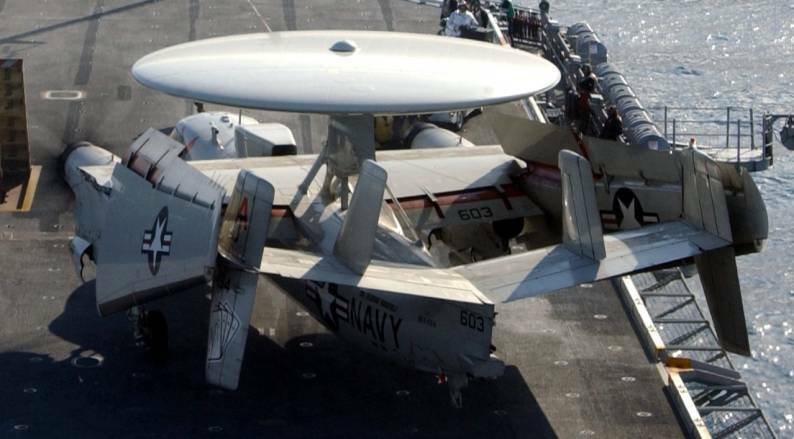 This demonstrated the deadly effectiveness of the "Hawkeye-Tomcat" team. 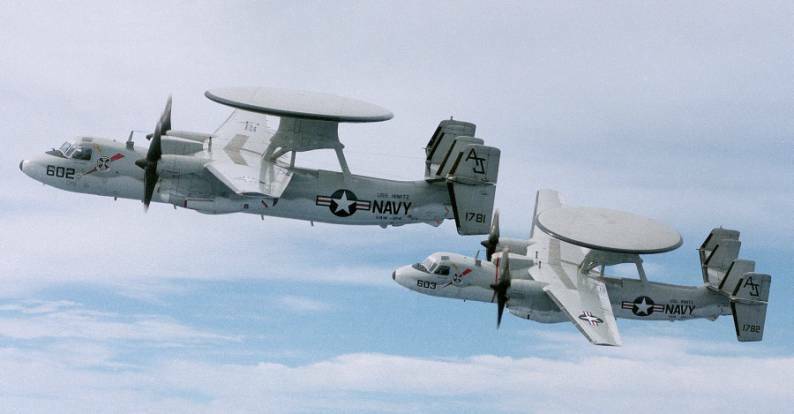 In June 1985, VAW-124 provided tracking of hijacked TWA Flight 847 as it crisscrossed the Mediterranean. 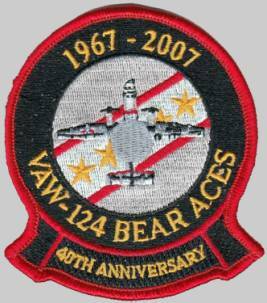 The Bear Aces were awarded their second COMNAVAIRLANT Battle Efficiency Award at the conclusion of 1987. 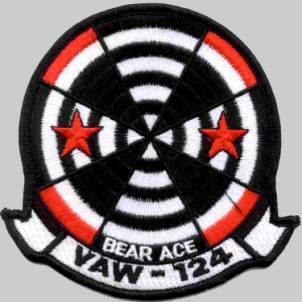 On 21 January 1991, CVW-8 launched its first major strike of "Desert Storm" with the BEAR ACES providing critical AEW, command and control, and SAR coordination. 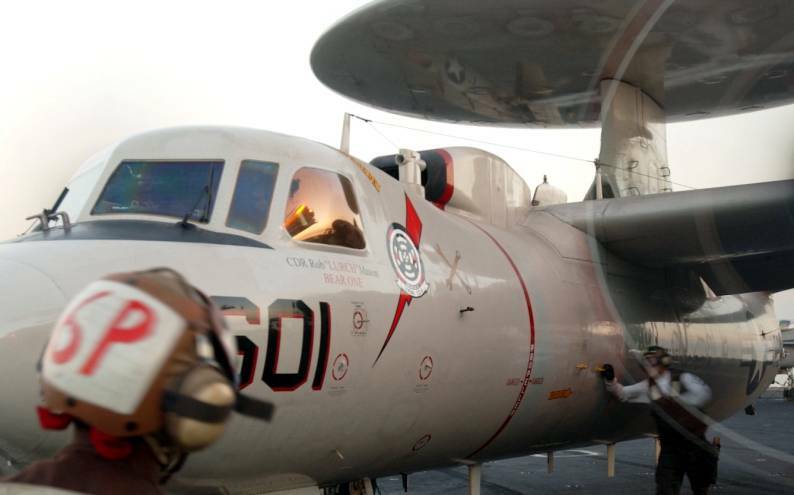 By the time the cease-fire went into effect on 28 February, the BEAR ACES had flown a total of 331 combat sorties and over 1150 combat hours in support of 1220 strikes against 531 targets in the Kuwait Theater of Operations, the most combat hours and combat sorties of any E-2C squadron. 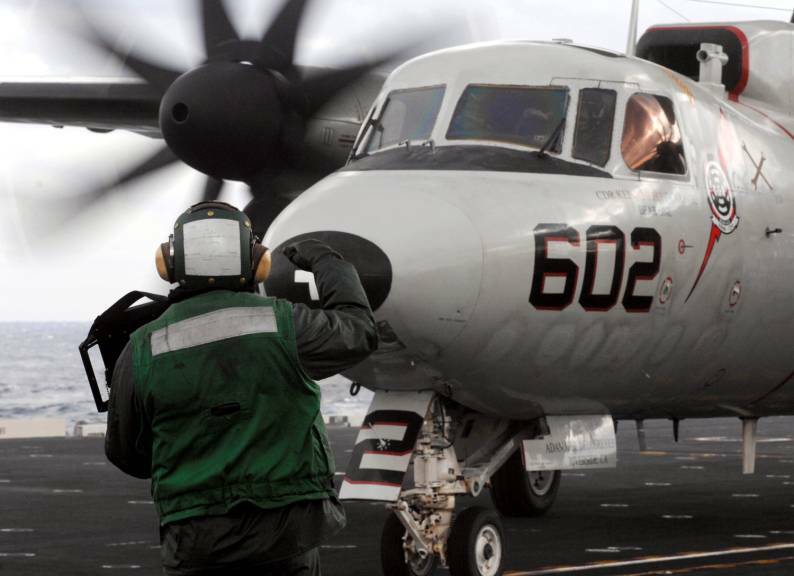 Remarkably, over 750 of the combat hours were flown in a single thirty-day period. 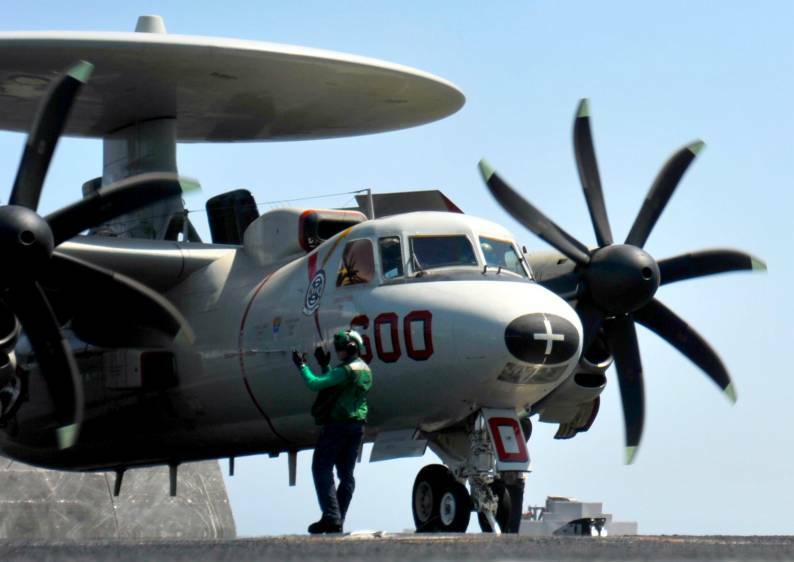 After transiting the Suez Canal on 20 April, USS THEODORE ROOSEVELT (CVN 71) assumed station northeast of Cyprus between Turkey and Syria to lead the multi-national Operation PROVIDE COMFORT. 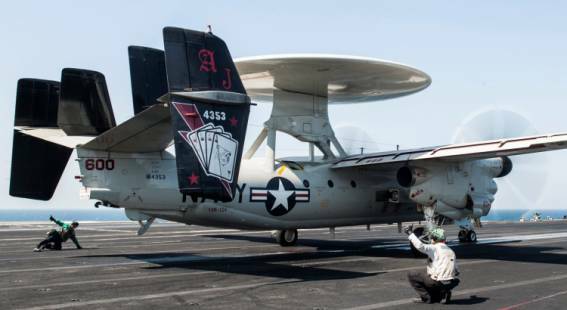 The transit home ended a highly successful and unforgettable combat cruise for the BEAR ACES. 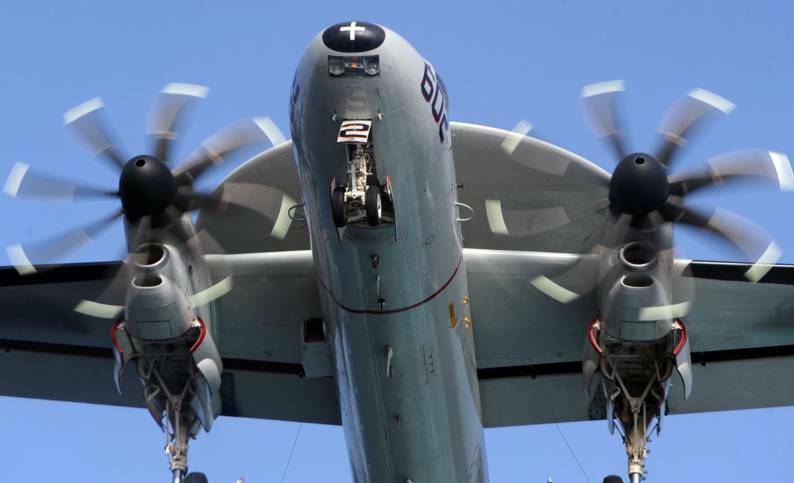 On 26 June, the BEAR ACES returned home to a hero's welcome. 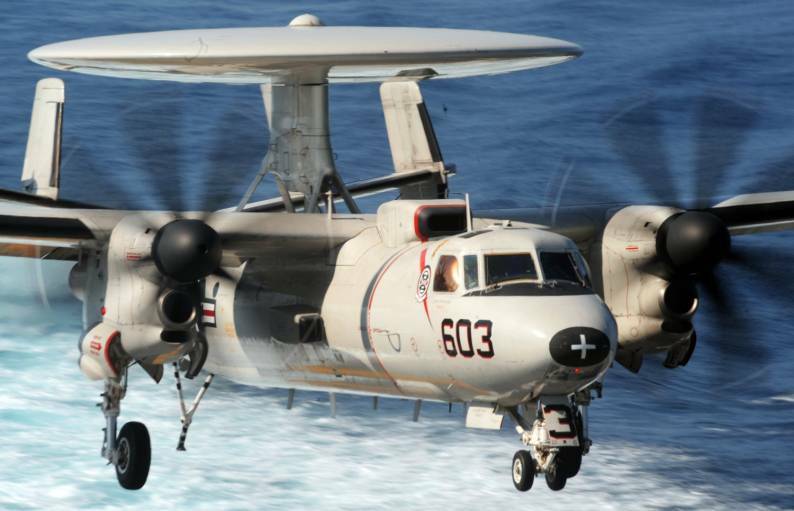 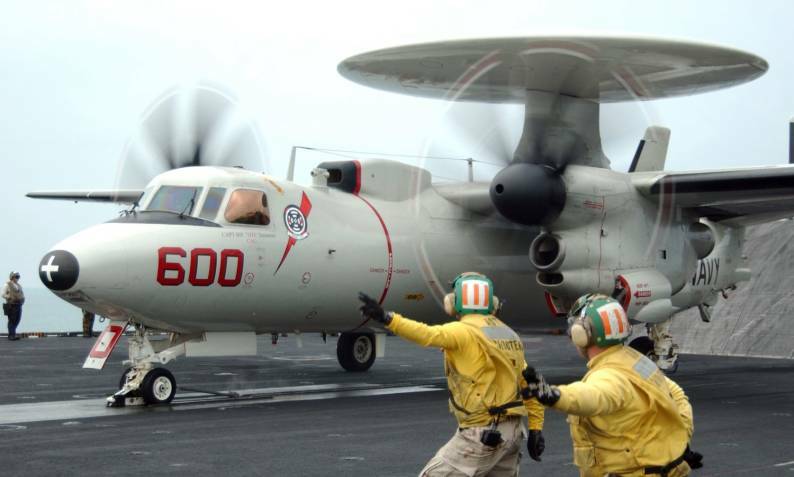 In August, VAW-124 was awarded the 1991 AEW EXCELLENCE AWARD the finest E-2C squadron in the Navy. 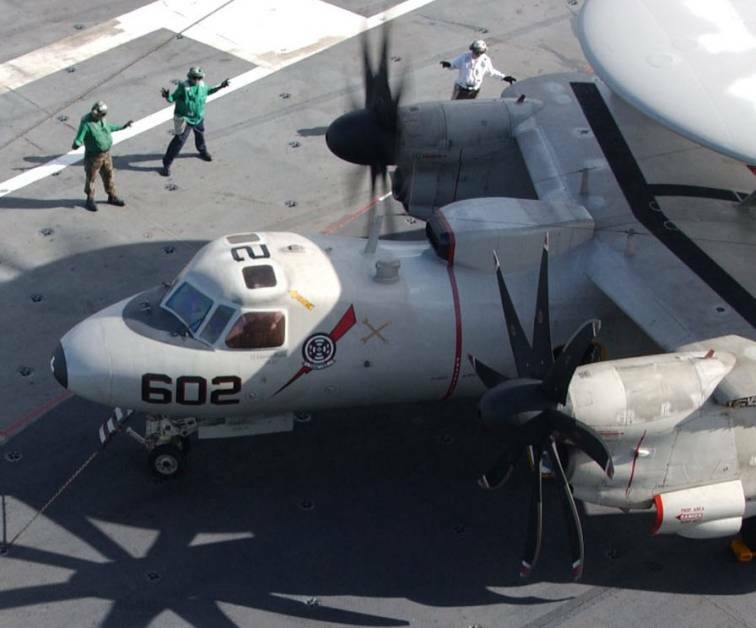 In April 1999, VAW-124 departed Norfolk aboard USS THEODORE ROOSEVELT (CVN 71). 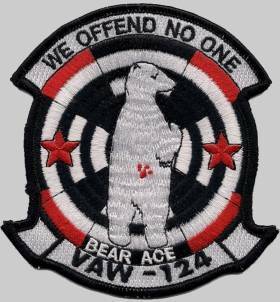 The BEAR ACES flew combat missions during Operation ALLIED FORCE against targets in Kosovo. 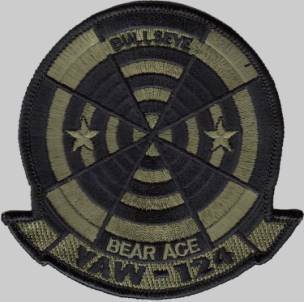 Transiting to the Arabian Gulf, the BEAR ACES completed the deployment enforcing the no-fly zone in Iraq in Operation SOUTHERN WATCH. 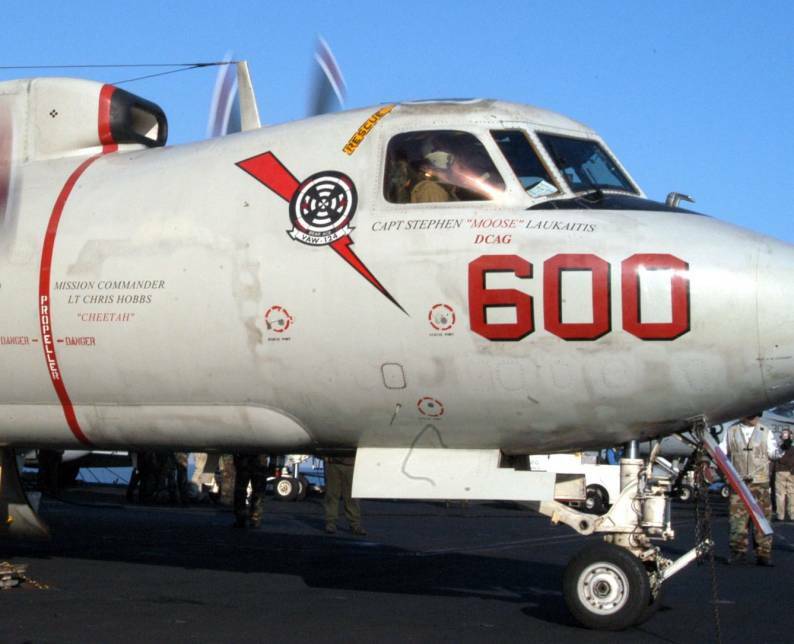 VAW-124 left home again in April 2001 aboard USS ENTERPRISE (CVN 65). 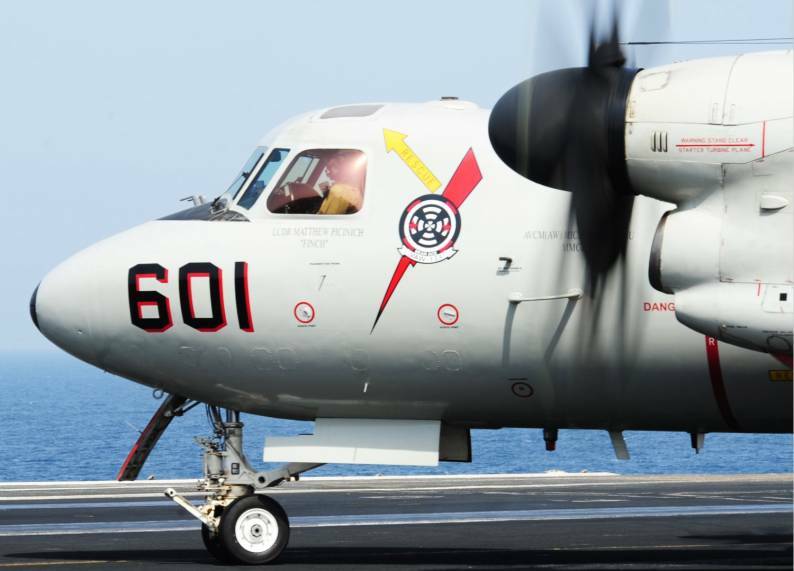 After several months of operations in the Northern and Mediterranean Seas, the BEAR ACES flew airborne early warning missions in support of Operation SOUTHERN WATCH over Iraq and proved crucial in numerous strikes against Iraqi targets. 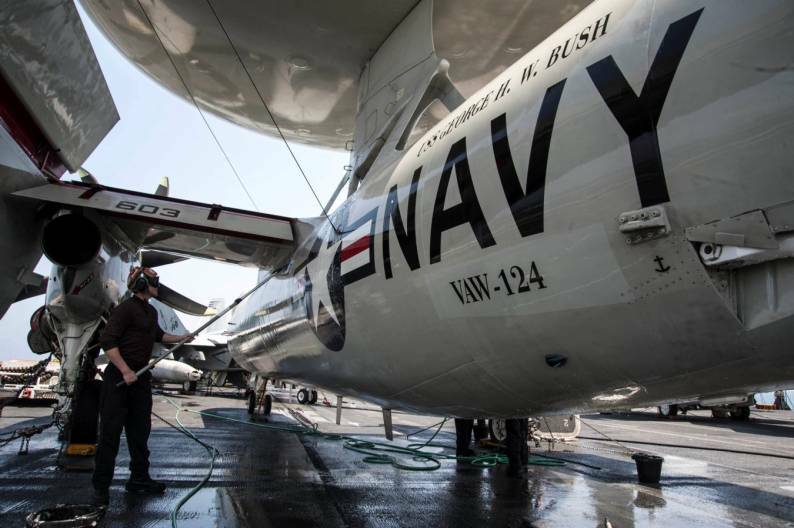 In September, with their mission complete, the ENTERPRISE headed south towards Capetown, a rare African port call. 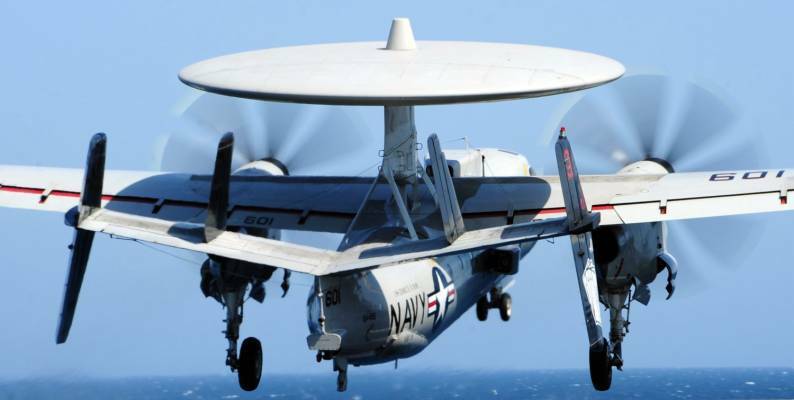 Due to the tragic events of September 11th, the USS ENTERPRISE would not make it to Capetown, South Africa. 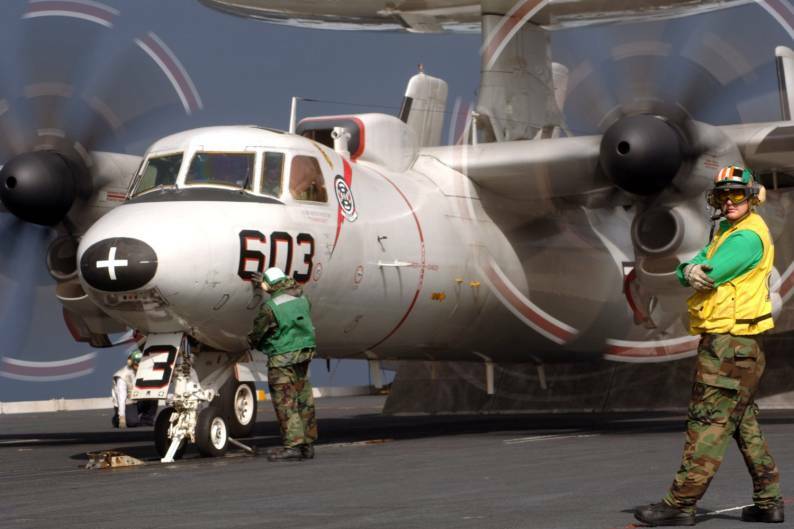 Demonstrating the flexibility of a Carrier Strike Group, the Strike Group quickly took station in the Northern Arabian Sea as VAW-124 and CVW-8 prepared for what would become Operation ENDURING FREEDOM. 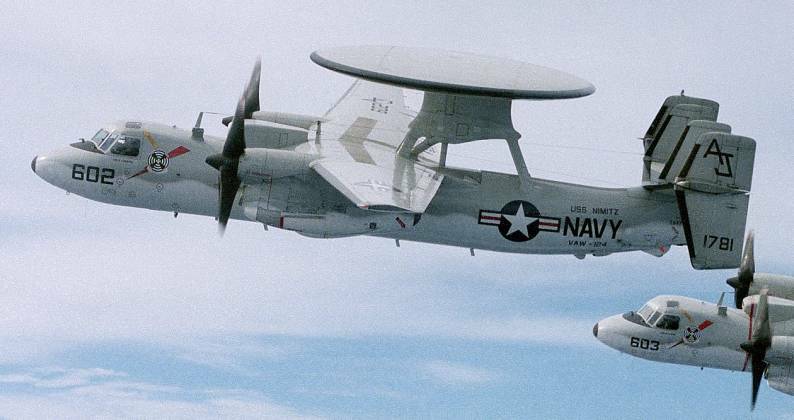 The BEAR ACES led the first strikes of the operation by providing Airborne Early Warning and Command/Control for Allied Air Forces. 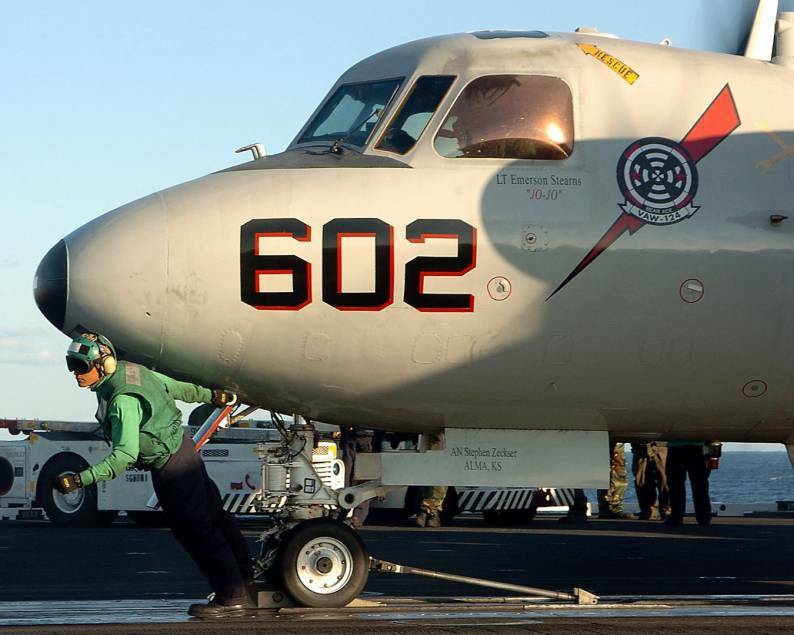 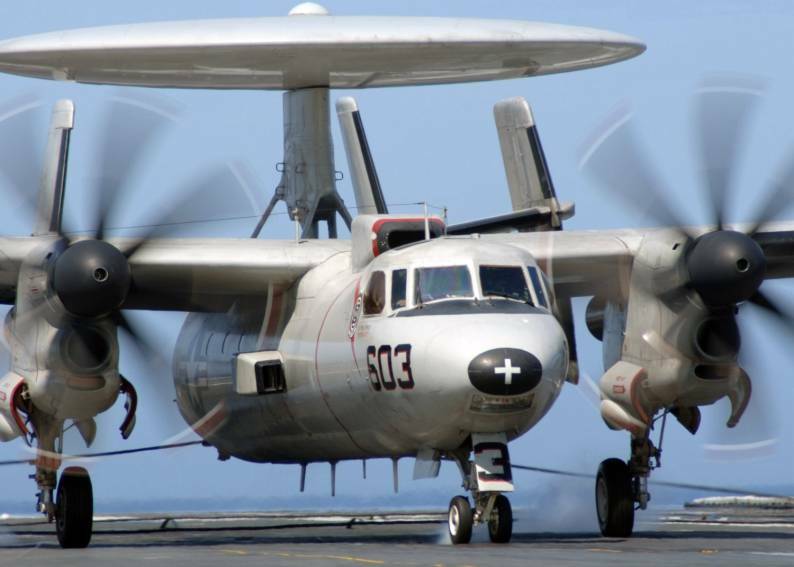 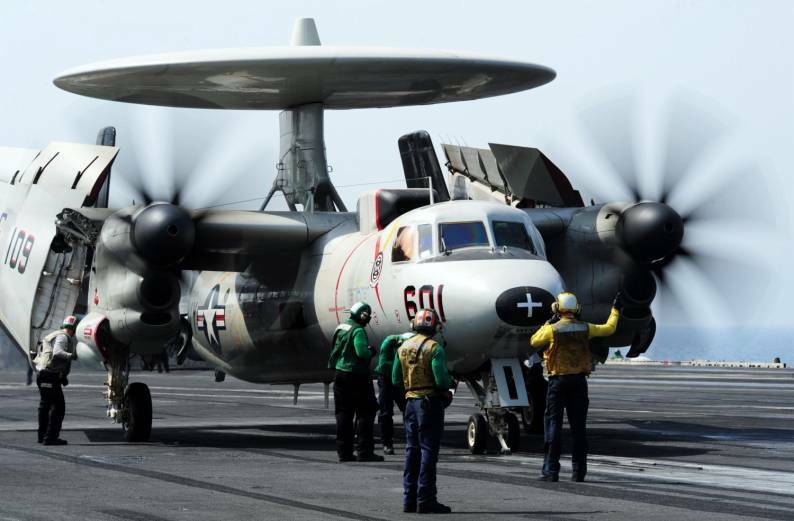 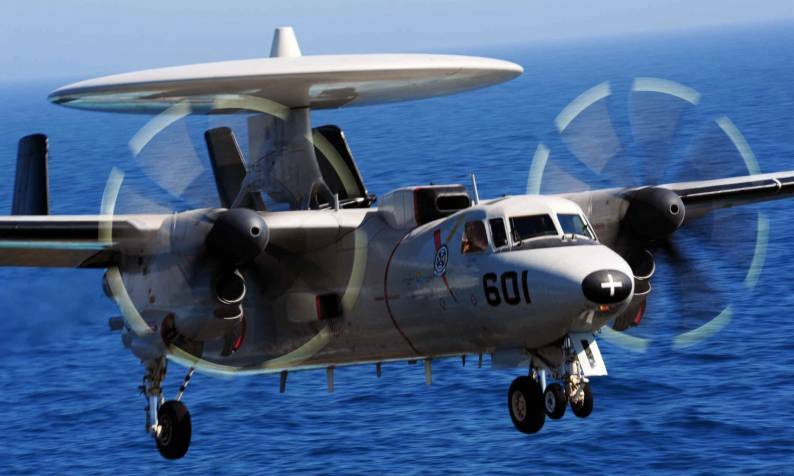 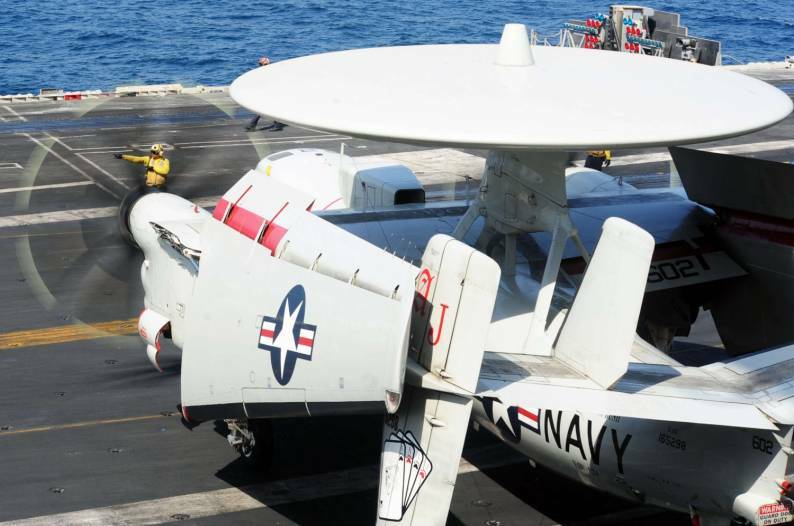 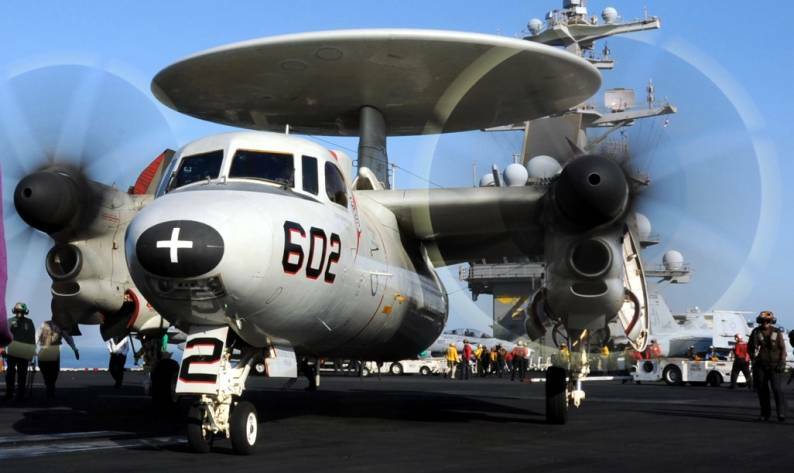 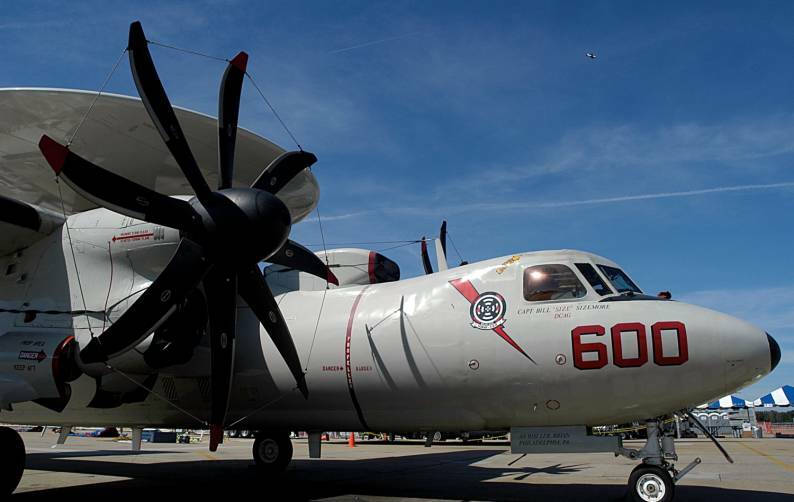 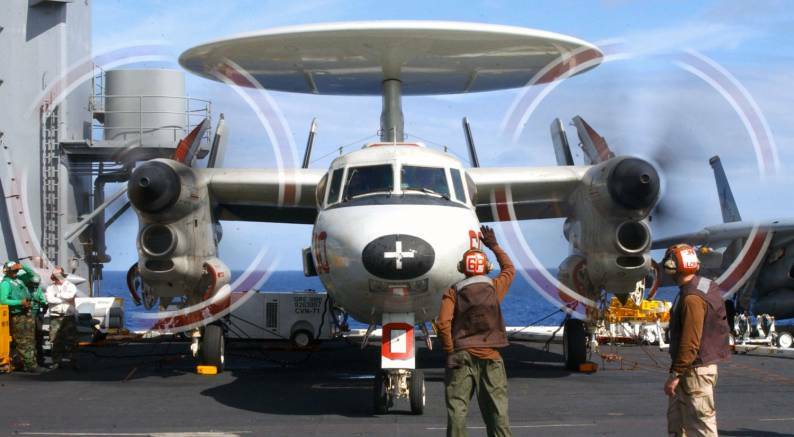 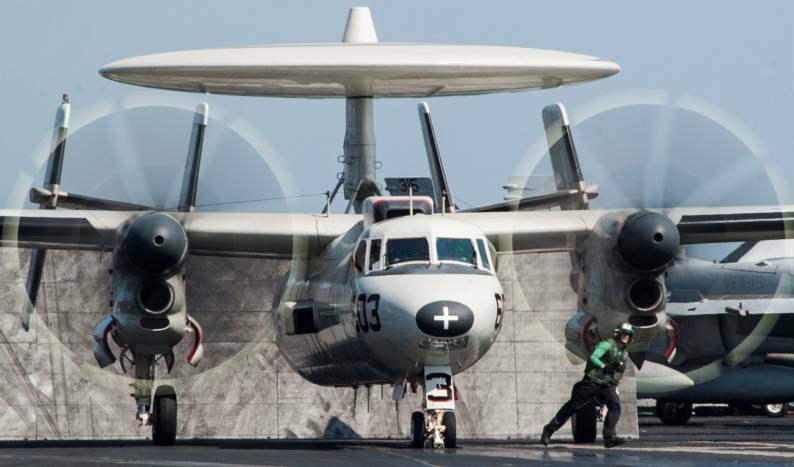 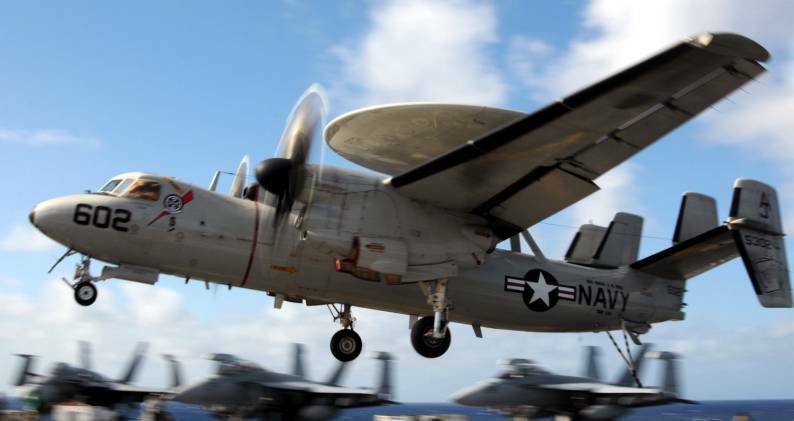 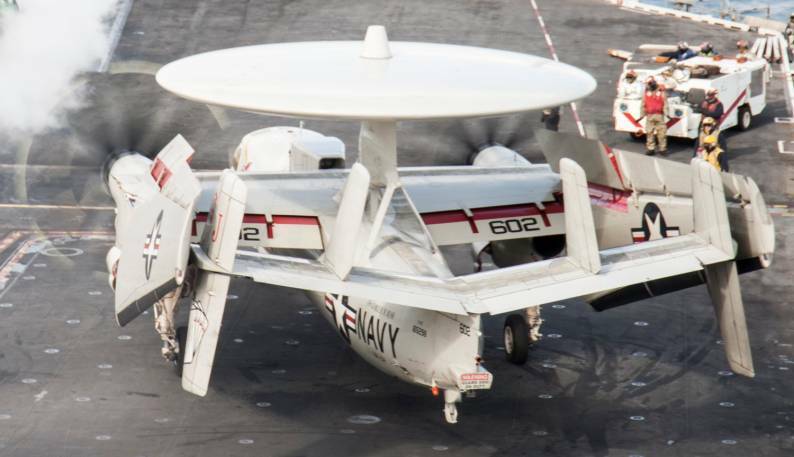 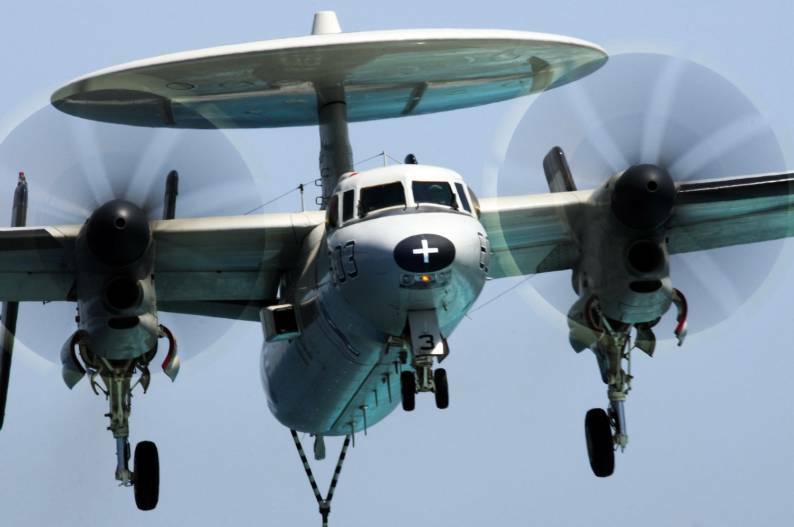 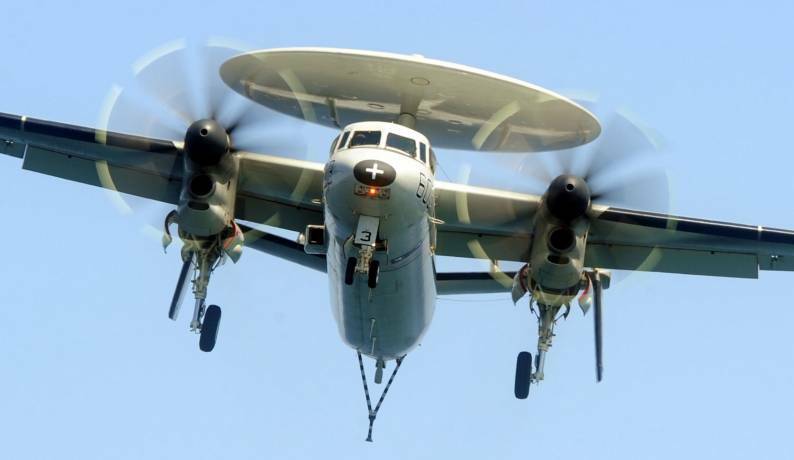 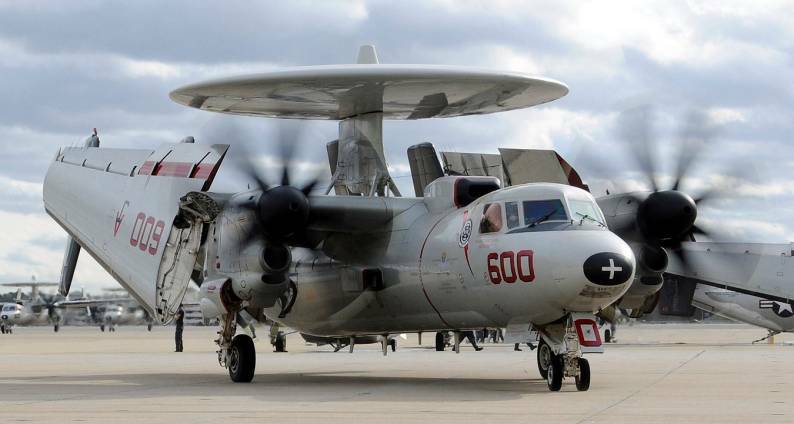 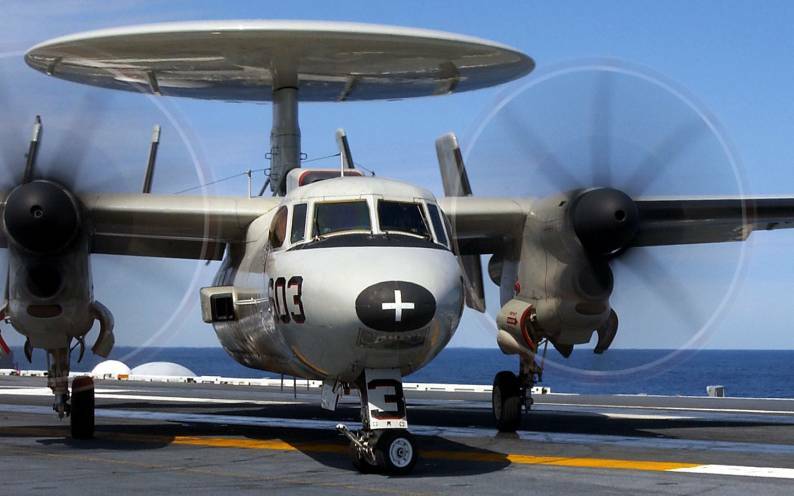 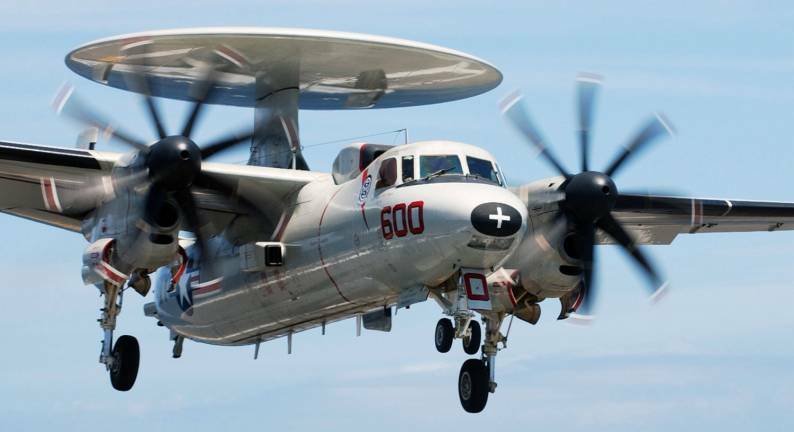 The deployment demonstrated the inherent flexibility of naval forces and proved once again the value of Navy Carrier Strike Group and the importance of the E-2C in both combat and peacetime operations. 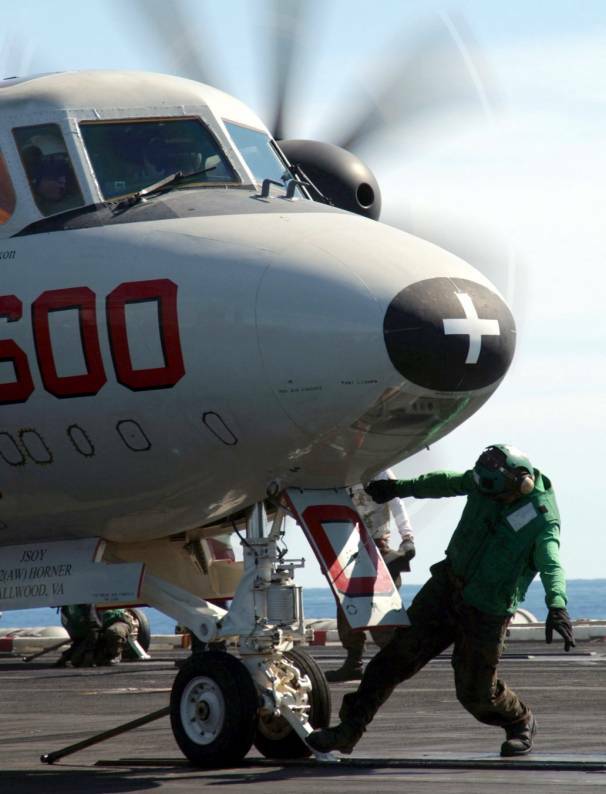 In an unprecedented move and demonstrating incredible professionalism and flexibility, the BEAR ACES and the rest of the USS THEODORE ROOSEVELT (CVN 71) Strike Group departed in 2003 during COMPTUEX and steamed to the Mediterranean in support of the escalating situation that would eventually develop into Operation IRAQI FREEDOM. 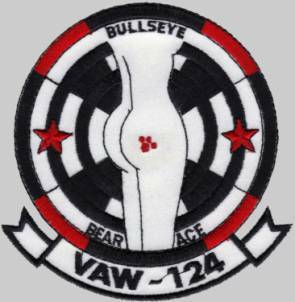 Once again, the BEAR ACES proved to be the right instrument at the right time in history, as they led the first strikes into Iraq. 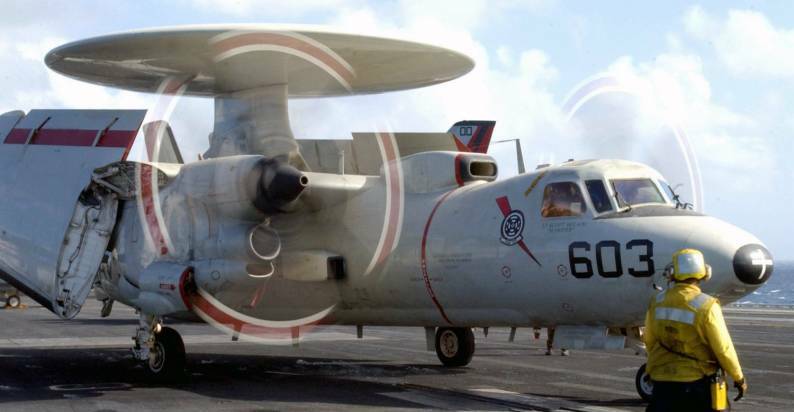 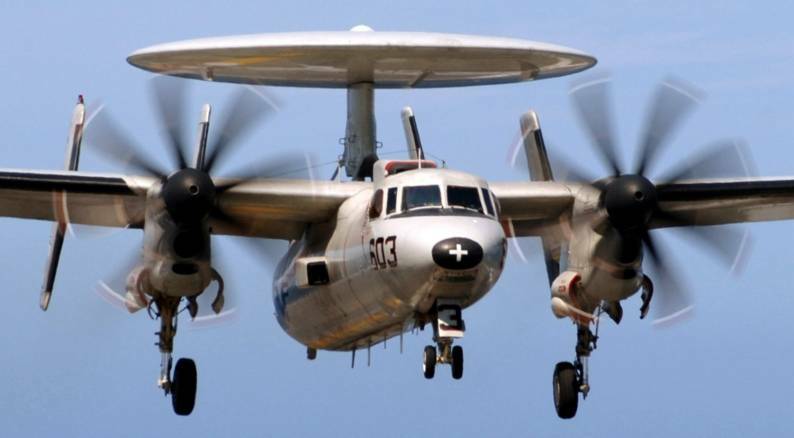 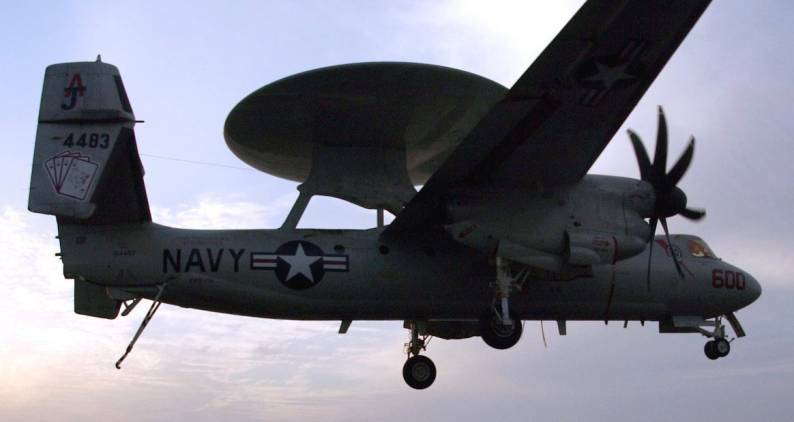 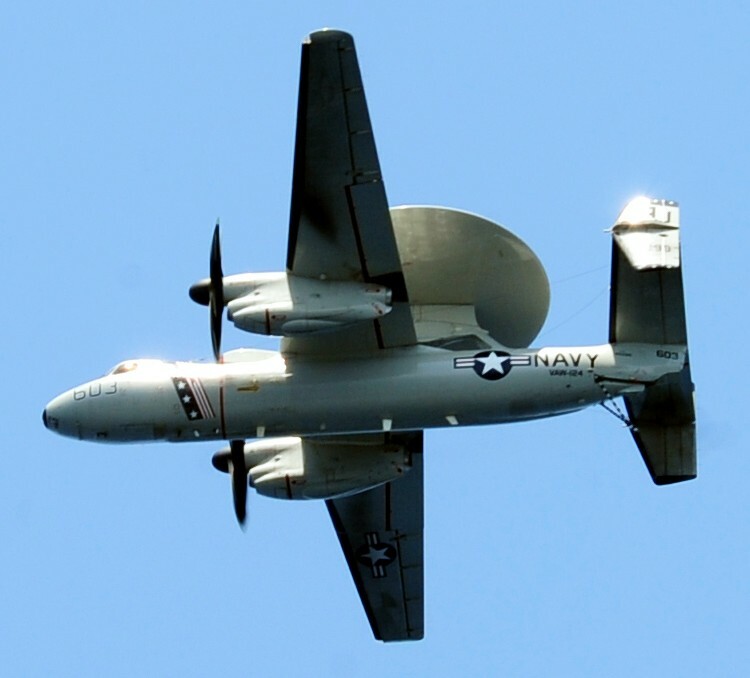 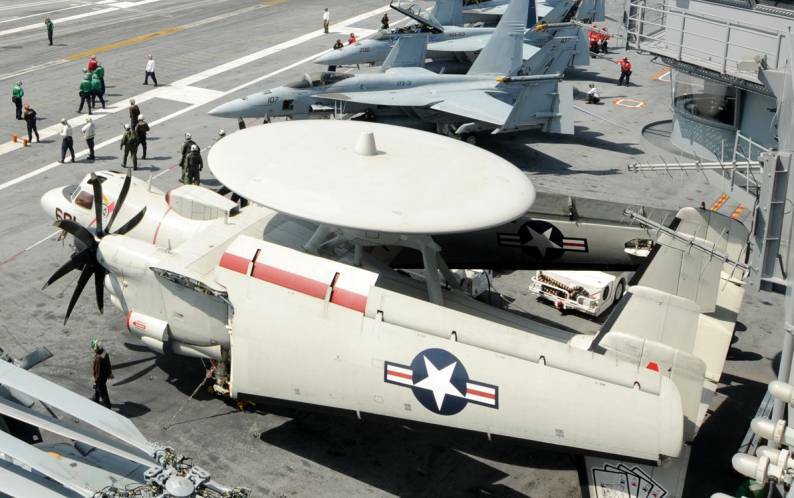 The skilled professionals of the BEAR ACES provided Airborne Early Warning and Command/Control for the carrier strike group and the strike assets attacking Iraqi targets. 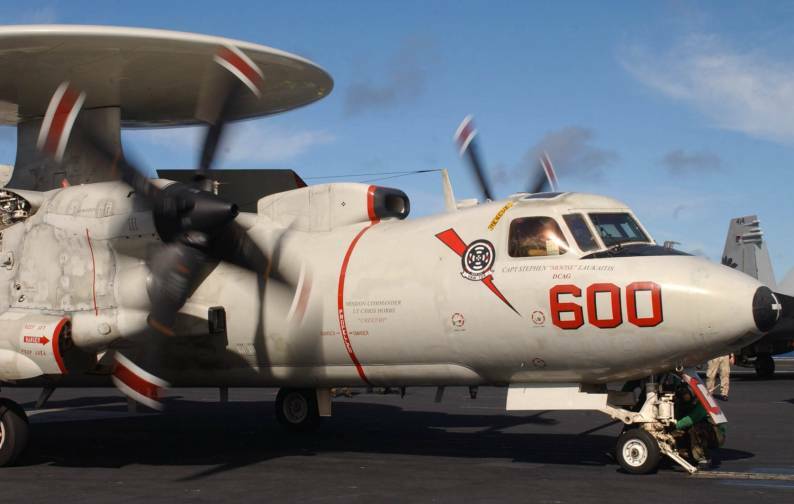 VAW-124 departed Norfolk in September 2005 to support Operation SEA DRAGON THREE in the Arabian Gulf. 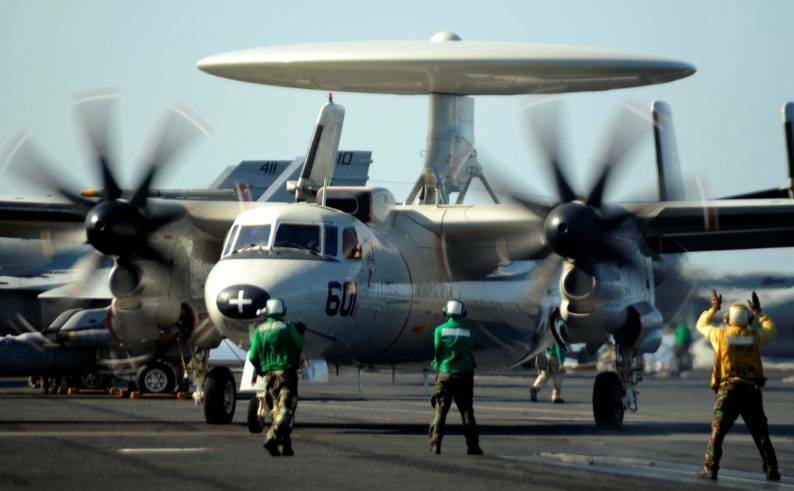 During their six and a half month deployment, VAW-124 provided Airborne Early Warning and Command/Control for CVW-8 and the THEODORE ROOSEVELT (CVN 71) Carrier Strike Group. 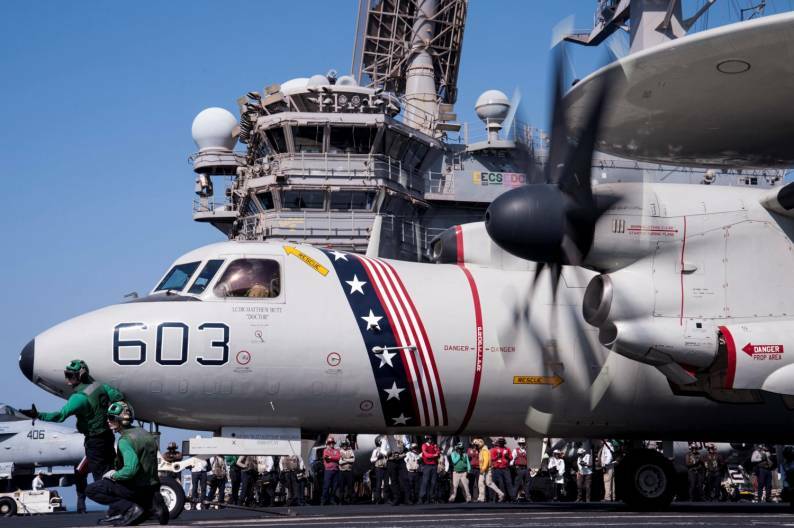 During the deployment, the dedicated men and women of VAW-124 proved their mettle by helping ensure maritime security environment and continued to lead from the front in the war on terror. 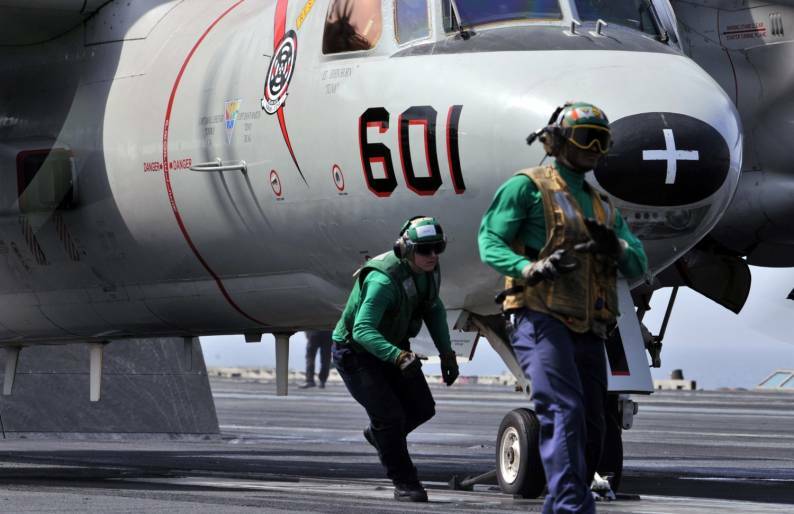 In February 2014, the BEAR ACES and CVW-8 deployed aboard the USS GEORGE H.W. 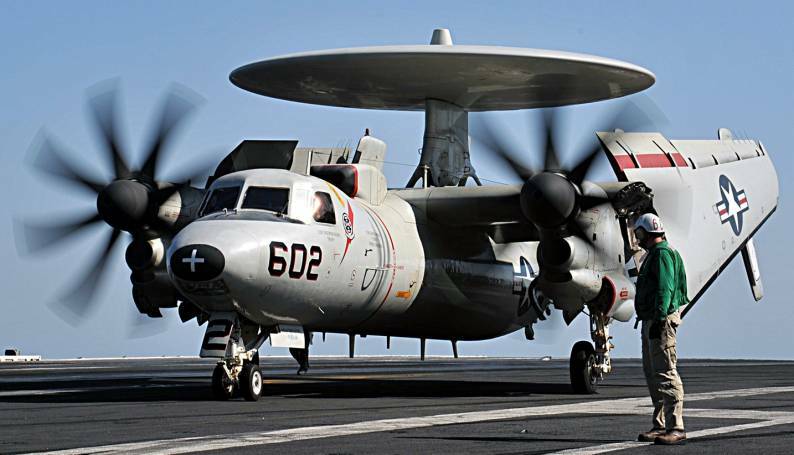 BUSH as a member of Carrier Strike Group TWO to the Afghanistan Joint Operation Area to provided Command and Control and Airborne Early Warning in support Operations ENDURING FREEDOM. 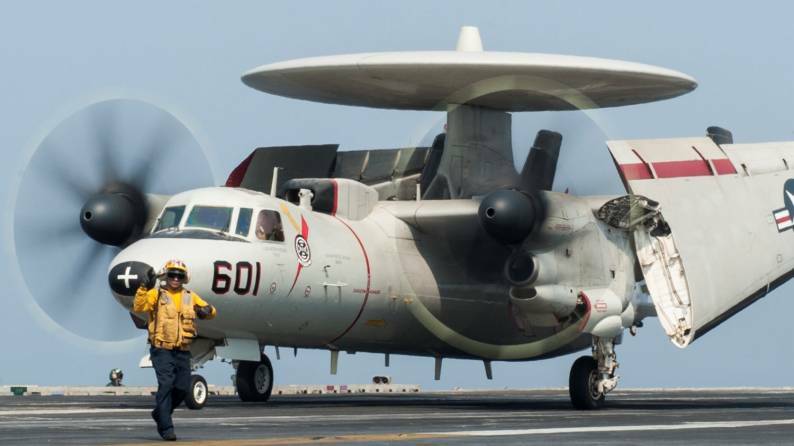 In June 2014, after spending just a few short months over Afghanistan, CSG-2 was ordered to the Arabian Gulf to support the Government of Iraq against the invasion by the Islamic State of Iraq and the Levant (ISIL), in what was later named Operation INHERENT RESOLVE. 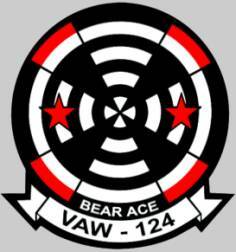 The BEAR ACES would also support the first strikes into Syria in an attempt to deny ISIL safe haven. 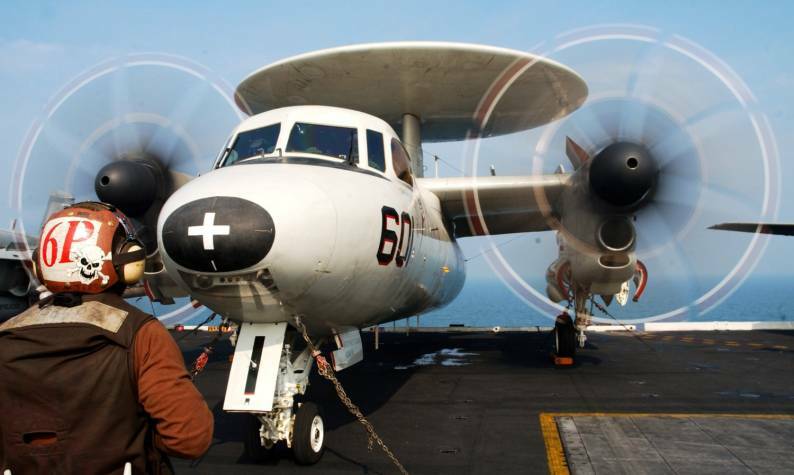 Over the course of the nine month deployment, the BEAR ACES flew 548 sorties and 2,210 mishap-free flight hours, 465 combat sorties and 2,120 were combat flight hours. 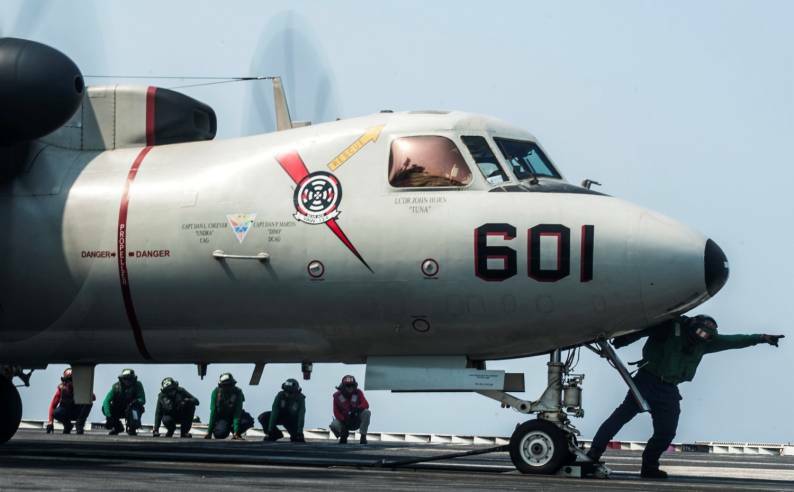 In recognition of their contributions in support of Operation INHERENT RESOLVE the BEAR ACES were awarded the 2014 CNAL Battle “E” and the 2014 RADM Frank Akers Award. 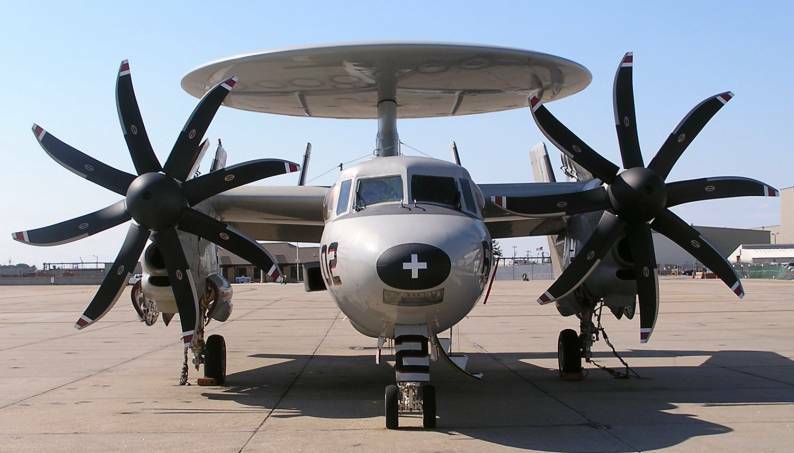 In addition, the squadron was awarded the 2014 CNO Aviation Safety “S” Award and the 2014 Blue “M” for outstanding medical readiness.